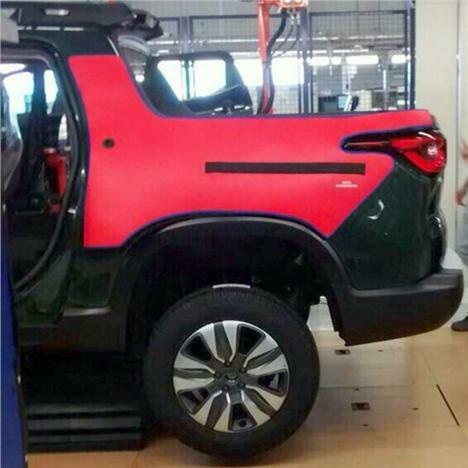 The Fiat Toro was teased recently through a series of images. But now clear photographs of the pickup from the factory line have been released. The images fully reveal the Toro that has borrowed design cues from the FCC4 four-door concept showcased at the Sao Paolo motor show last year. 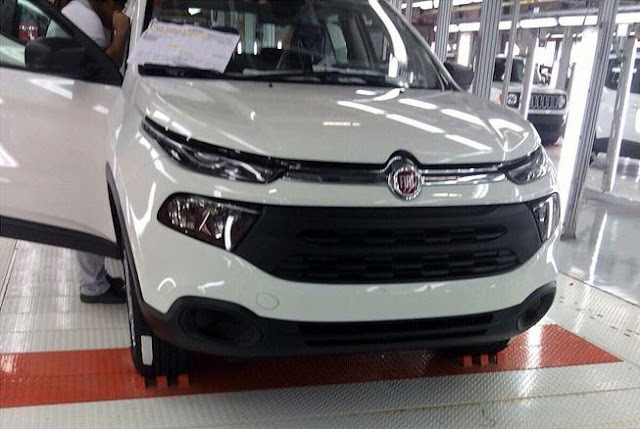 The speculated features such as the hexagonal grill, sleek LED headlights and a tall front end are now confirmed. 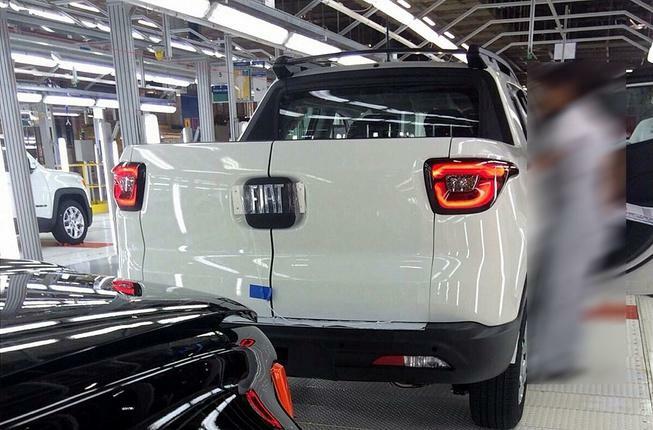 The images from the assembly line show that the Toro's LED tail-lights stretch around the rear panel and the rear tailgate features a barn-style opening rather than a conventional pull-down design, with the mechanism hidden under a huge Fiat logo. However, it is said that the images are of the base version that lacks the fog lamps, metal-like underbody protection and also the metallic accents seen on the top-end variant that was teased. Fiat is said to have based the Toro on the Mitsubishi current-generation Triton and is likely to be powered by the entry-level, bi-fuel 1.8-litre motor producing around 138bhp or the 2.0-litre Multijet four-cylinder turbo diesel engine. The Toro will be offered in two-wheel drive and four-wheel- drive versions. we deal in all kind of chiller truck rental in UAE The Fiat Toro was designed primarily for South America, where pickups have a relatively large demand. It will go on sale internationally after its official debut later this year and will rival the Toyota HiLux and the Volkswagen Amarok. The segment is said to combine the strengths and characteristics of a truck with the comfort features and driveability of an SUV.